The title of this post will mean next to nothing for almost everyone, unless you happen to be a fan of Japanese Manga/Anime. As part of my Droid a Day project I’ve asked people to suggest a droid or robot from film or TV, my latest illustration – number 201 – is one of those. He is a character from the Japanese series Ghost in the Shell, and was suggested by Michelle Aguilar – she’s quite a fan apparently. He was fun, but hard work, to draw, and now I feel I need to watch some of the show. 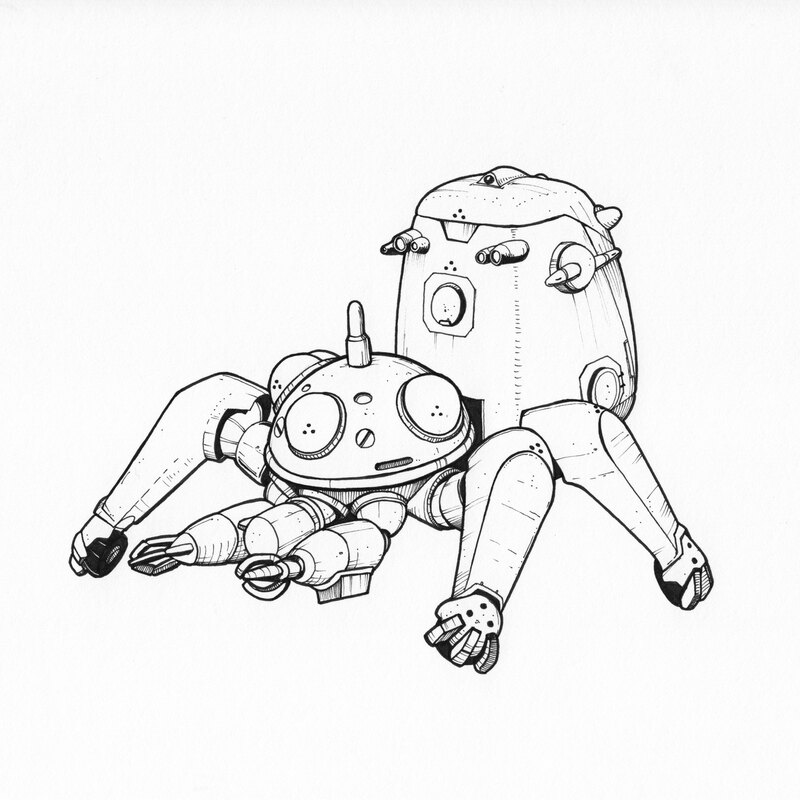 If you have a droid you’d like to see me draw, feel free to comment. Nice work, how about one of WALL-E? And you know I’d ask for EVE next. They are both on my list, Wall-E will almost certainly get drawn. Eve, although she’s cute, might be a bit plain for me to illustrate though. I find it easier the grittier they are!